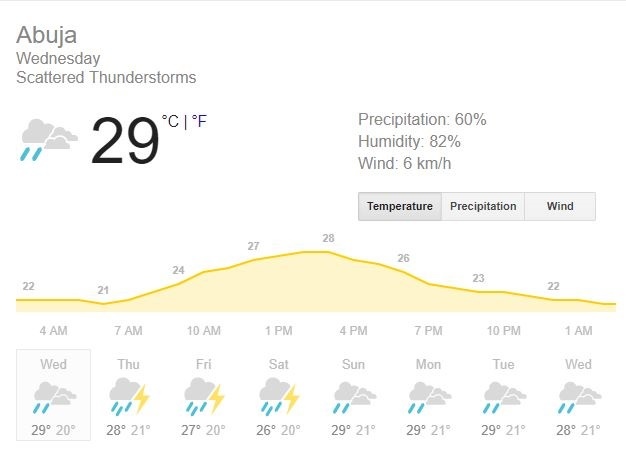 Weather Report For Wednesday 12.09.18. Good morning Bounce People; here is the weather forecast for Wednesday September 12, 2018. The temperature in Lagos is 25°C, rising to 34°C with clouds in the morning and light rains to be experienced later in the day. 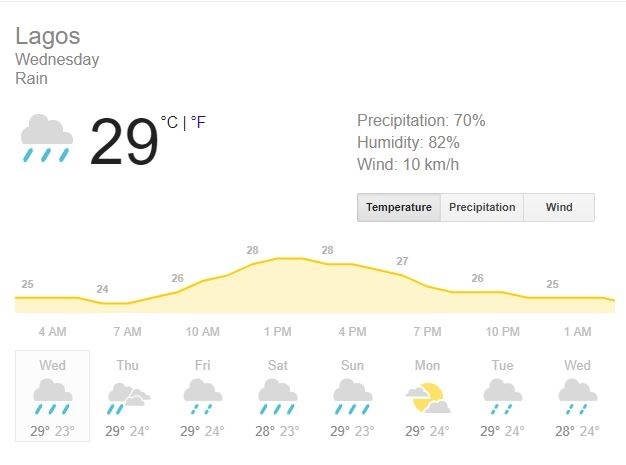 Abuja is 22°C, rising to 27°C and the day is going to be mostly cloudy. Ibadan is also expected to rise to 30°C from 25°C and cloudy all day. Port Harcourt is 22°C and is expected to rise to 29°C and cloudy through the rest of the day with a few rains. In Kano, it will be mostly sunny through the day, temperature is 27°C and should rise to 34°C. There should be even less rain today than we had yesterday so let's not slow down. Gidi up!